A sincere and loving thank you to all you gorgeous souls who visited and commented last week. You are all appreciated! 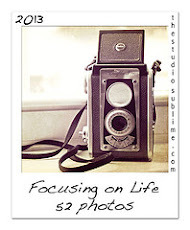 Here we are at week three of Sally Russick's Focus on Life project. This week's theme was 'Take Time' - meaning, spend some precious time doing something for yourself. I daresay I may be in the minority - my time is my own, for the most part. I do have a 'regular' job and all that, but I don't have children, and my dude is not clingy or needy in any way. So, aside from the standard household obligations, of which there are few, I get to take time for myself pretty much however and whenever I choose. I do generally keep myself busy with projects of all sorts, and occasionally I feel the need to slow it down and take a break. I love to read, so this is what I do when my body tells me its time to rest. This is the chaise end of our ridiculously huge, flaming red sectional couch. This is where I usually end up nesting, curled up in the squishy cushions with blankets, coffee, and cats. This morning the cats were unusually restless, so I couldn't capture them in their typical posts by the big window. Notice the wide, flat armrests that are perfect for stacking books! This couch totally overwhelms our little living room, and the color is outrageous, but we got it second-hand (plus a matching armchair) for a steal from a military family that was moving. It was so cozy and squishy we had to have it. We love it, and the cats love it, even if it pretty much takes over the whole room. On days like today, with the sun streaming in the windows, that spot is absolute heaven. I'm like you in the winter while the garden is at rest. But come summer...I am at the mercy of what needs to be put up. I see that reading for oneself is a trend on this hop - I have commented to others that I have not taken the time to read in way too long...'cause I do love to curl up with a good book. You niche looks so cozy right now! That does sound like an awesome spot. I love the color of your chair, and the sun steaming in the window is awesome. I love sitting in a wonderfully comfy spot with the sun spilling in through the windows. Sounds perfect! It just looks and sounds like the perfect place to curl up with a good book. I really need to get lost in a good novel again! i don't think the colour is outrageous - our sofa is large and bright orange(!) - but it does look v. comfy!! Love your cozy little corner! I love the color and that the couch has squishy cushions (which is a must in my opinion of all couches!).
" I get to take time for myself pretty much however and whenever I choose." lucky you! 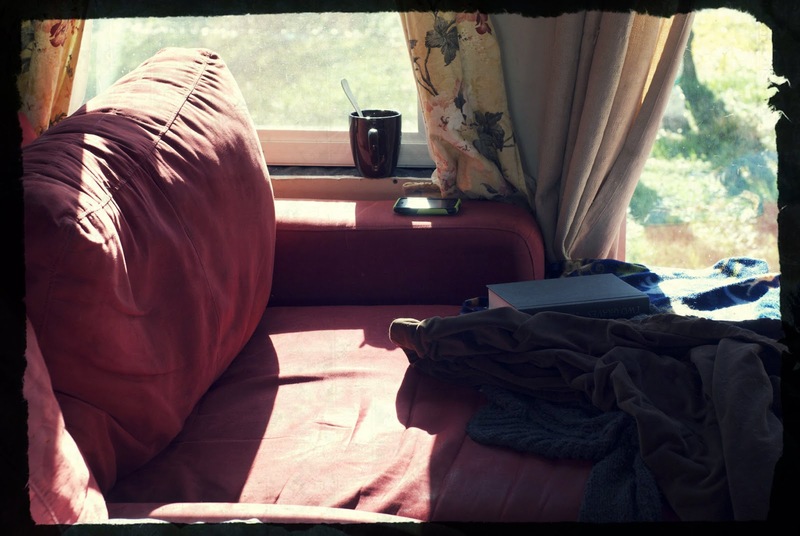 That sofa does look really comfy and inviting especially with the sun warming it, great photo! What a wonderful place to relax, with everything you need at your fingertips--including the cats. I love the natural light coming through that window. Your sofa looks really comfy. I have a recliner next to the window that is my spot. Reading is my favorite, too. You have a wonderful, cozy spot by the window.